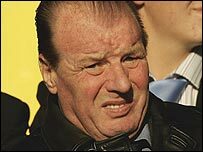 Leeds have appointed Dave Bassett as assistant manager to Dennis Wise until the end of the season. Bassett, 63, worked alongside Wise at Wimbledon, Leicester and Southampton and replaces Gustavo Poyet, who has joined Tottenham under Juande Ramos. Bassett said: "He knows I'm well experienced and that's a great qualification. He feels I can contribute in certain aspects. "Dennis is the manager and I will do whatever he wants." Wise told the Leeds' website: "He brings with him a wealth of experience, having been there, seen it and done it. "We know each other well, having worked together before, and I'm looking forward to working with him again." Can Bassett make a difference at Leeds? Leeds are seventh in League One with 11 wins and two draws after starting the season with a 15-point penalty. Bassett's first match as Wise's number two comes away to Carlisle on Saturday. Wise added: "We've had a good start to the season and Harry (Dave) is keen to play his part in helping us move further forward, based on the foundations that we have already laid." Leeds anticipate to make a further appointment to the first team coaching staff within the next week.